Google Showing Product Images in AdWords, Where The Organic Results Go? 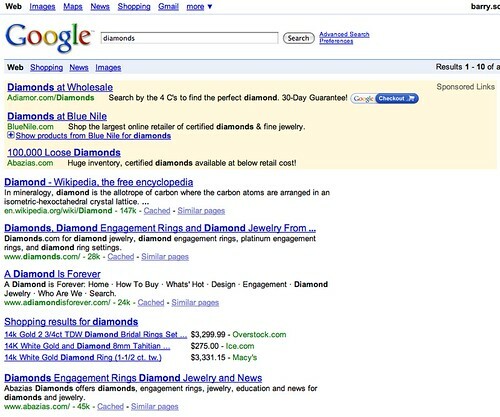 Home > Google News > Google AdWords > Google Showing Product Images in AdWords, Where The Organic Results Go? 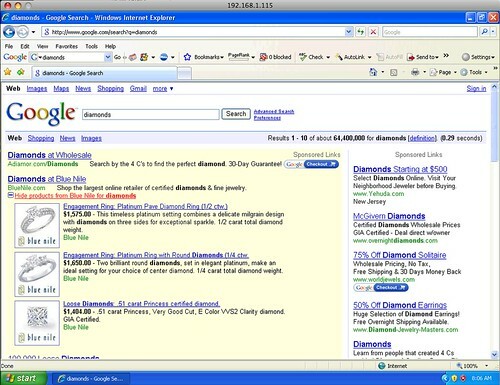 Google AdWords: Now With Images that I wrote at Search Engine Land described a newish AdWords interface I spotted. 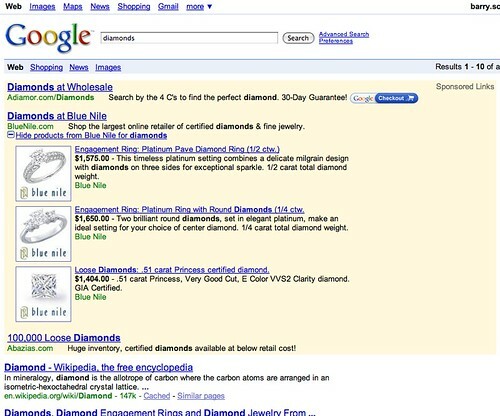 In short, a search for diamonds or other searches that would bring up an ad from Blue Nile, would show a special type of AdWords ad. The AdWords ad is similar to what we covered in November and January but without the pictures. In short, the ad shows a + sign that reads "Show products from Blue Nile for diamonds." When you click it, it opens up three additional product results, with images. All you see are ads! Is this good for the advertiser? I assume it is. How about for the searcher? They do have the ability to close those results.